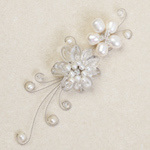 A charming brooch handmade by jeweler Sirada. 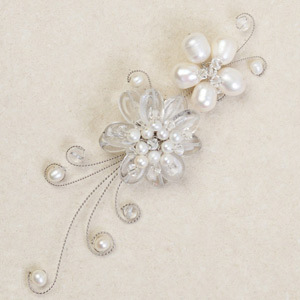 The gifted artisan combines quartz, pearls and glass for this floral design. Stainless steel tendrils create the appearance of lace. Materials: Quartz, pearl, glass and stainless steel.